[The Jewish liars are always going on about how they also needed a place to stay and how Israel is their only home! Utter nonsense! 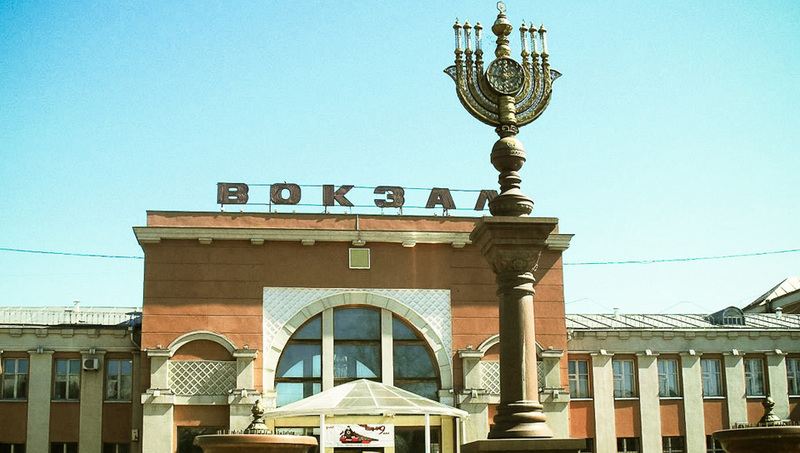 The first Jewish state was created in the Soviet Union in 1934 and its called: Birobidzhan and it exists to this day and is in the Russian constitution! Even though only 0.2% of its current population is Jewish, it is still authonomous and intended for Jews! For the record, Adolf Hitler wanted to put the Jews on the enormous Island of Madagascar near Africa! The British wanted to put the Jewish filth in the beautiful north of Kenya! The lazy Jews deserve neither! The Jews are NOT a “poor people who are badly treated by everyone else”. Rubbish! The Jews are lazy, lying filth who LIE to everyone about how they’re being cheated. Meanwhile everyone treats the Jewish filth with exceptional kindness THAT IS NOT SHOWN TO ANY OTHER RACE! Jews get all sorts of concessions worldwide from governments and yet they run around saying how they have no place to go and everyone is kicking them out. Jews who controlled most of the Govt of the Soviet Union actually got this piece of territory just for themselves! For the record, Lenin was a Jew. But you never get to hear about this “first Israel” which existed BEFORE WW2 and exists to this day except the Jews are not keen to live there. Hitler predicted that Jews would NOT want to live in a Jewish homeland if they got one. He was so right! My own observation is that the Jews are the spoiled brats of the world! Everyone treats them far better than they deserve! ← TERRIBLE! Yet another German woman arrested over the Jewish holocaust! Monika Schaefer arrested! Very Important: The Book the Jews tried to hide from Whites: 200 Years Together! – The Jews in Russia! Video: Top Secret: What the Jewish code word Anti-Semitism really means! !